Cooling Equipment Manufacturer - Agroponic Industries Ltd.
Cooling of greenhouse structures is a daunting task is achieved by two primary methods. These are passive and active systems. Roll-up sidewalls, roll up roofs, poly roof vents ( double poly roof vents for freestanding structures ) and poly gutter vents ( gutter connected greenhouses ), hard clad rack and pinion sidewall vents, and hard clad single and double ridge vents ( for polycarbonate clad freestanding and gutter house applications ). In most cases most active systems since part of the greenhouse structure are installed and supplied by the greenhouse structure. Passive systems require very little input energy ( ie electrical power ) and can be arranged for manual or automatic operation and control. Large sidewall vents, gutter vents and ridge vents are comprised of a vent gear motor, a continuous galvanized steel pipe drive shaft which runs the length of the greenhouse or wall, shaft hangers, and a rack and pinion drive system. 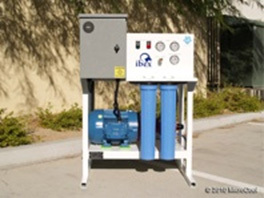 We have been supplying and installing Loch drive units for the past 15 years. They are available in a series of various sizes depending on the size of the vent that is to be opened and closed. 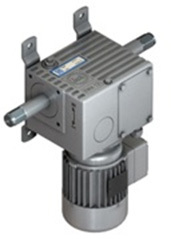 These drive units are extremely durable, quiet, with self locking double worm drive gears, provided with standard fastening at back or sides for easy mounting, shaft couplers or flexible chain couplers provided for connection to the vent drive shaft, fully adjustable internal open and closed limits are via precision gear wheel, there is no need for external mercury or contact switches. They are available in 120/230/1/60 and all common three phase voltages. Contact our office for selection, sizing assistance or detail technical literature. The drives can be easily connected to the greenhouse control system for automatic operation by opening and closing the vent systems to suit the environmental conditions. Primarily rely on mechanical devices such as sidewall exhaust fans, motorized shutters, pad cooling systems, evaporative coolers and high pressure fog cooling systems and for general air circulation horizontal air flow fans. Mechanical cooling by exhaust fans require a significant amount of air flow in a greenhouse application. The general rule of thumb is one air change per minute for adequate cooling. Other considerations are elevational deration considerations, air flow, temperature uniformity and possible mechanical induced stress on the crop, should be made and determined. We would be pleased to size a exhaust fan system to suit the requirements of your greenhouse project, so feel free to contact our office for assistance. All our greenhouse exhaust fans come complete with aluminum and/or galvanized steel shutters, wire screen guards, galvanized or poly wall boxes and with electric motors. Standard motors are 115/230V, single phase, single speed. 3 phase motors are available in 208, 380, 460 and 575 volts. We can also offer 2 speed motors by special order. Available fan sizes range from 18”-3280 CFM, 24” – 4060 CFM, 30” – 6710 CFM, 36” – 8500 CFM, 48” – 21,000 CFM and 48” – 21,900 CFM (2 speed). Fans 36” to 48” are slantwall type. A wall exhaust fan system needs an adequately sized intake shutter or series of shutters to fully utilize a fan and shutter cooling system. The purpose of the shutter(s) is to allow fresh air into the structure to replace that being exhausted. Shutters need to sized to provide as little pressure loss as possible as not to derate the capacity of the exhaust fans. The general rule of thumb is to provide an extra 35% air shutter area than that of the exhaust fan(s). All of our intake shutters have fully aluminum frames and louvers. Motor paks are available in 110V and 220V. These intake shutters are available in sizes in 3″ increments from 19″ x 19″ to 51″ x 51″ or available custom-sized beyond 51″. The outside flange is always 3″ larger than the opening. Shutter sizes above a 33″ x 33″ opening are supplied with dual motor paks. Custom size shutters are available in square or rectangular configurations. We would be pleased to size a system to suit the requirements of your greenhouse project, so feel free to contact our office for assistance. HAF fans are accepted as being superior to other methods of internal air circulation. 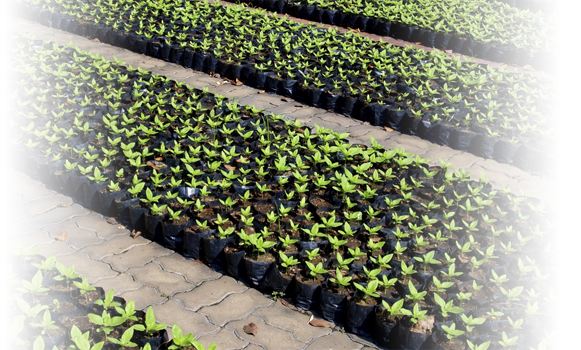 Increased temperature uniformity, reduced heat loss, reduced humidity, stagnation and improved CO2 dispersion in the plant canopy are some of the advantages now recognized. In general HAF fans are sized to move 1/4 of the volume of the greenhouse per hour. We offer a number of HAF models and can assist in your selection and layout. 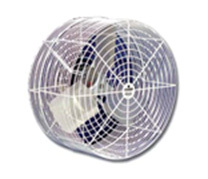 We offer a wide range of HAF fans 12” to 24” in both Basket Style Fans and Tube Axial ( High air flow/high projection ). 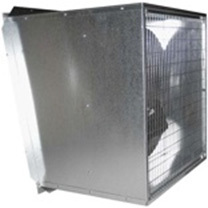 All fans are provided with chain or hanger supports and heavy duty fan guards. 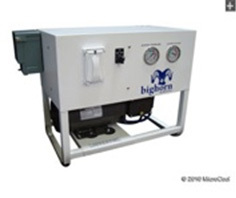 Air flow rates from 1600 to 4200 CFM in 120/1/60 and 230/1/60 voltages are available. High pressure fog is a very effective means to cool and or add humidity in the greenhouse environment. They excel at providing uniform cooling and humidity throughout the greenhouse with out hot spots still occurring. Fog cooling is achieved via the flash evaporation of very fine water particles ( fog ) at very high operating pressures. 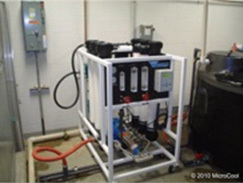 Generally a high pressure fog cooling system operates at 800 to 1200 PSI operation and can generate water particles as small as 10 micron in size. Please don’t fool yourself that high pressure fog cooling is a mist system !!! A properly sized fog system provides high levels of cooling and humidification without wetting of the greenhouse crop. A mist system is just that, it is an irrigation means. The water droplets are just to large to provide uniform and controllable cooling and humidity. Since 1988, the year that we sized and installed our first 40,000 sq. foot greenhouse system, which is still operational to this day, we have been authorized dealer / supplier and installer in Canada for Microcool High Pressure Fog. 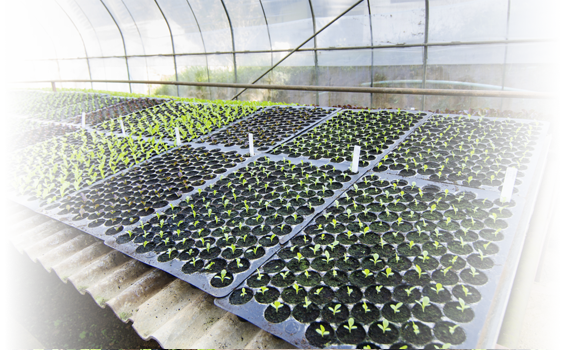 For over thirty years MicroCool systems have been used for humidification and cooling in greenhouses all over the world. 10 micron droplets of water flash evaporate and are used equally for cooling and humidification. When growers heat their greenhouses in the winter months, the resulting drop in humidity levels can seriously affect the crop production or quality. The MicroCool system helps the grower maintain the optimum levels equally through the growing area. The MicroCool system operates in conjunction with all of the other control elements in the greenhouse to make sure that each component works in harmony to create the right environment. Grids of nozzles positioned throughout the greenhouse ensure even and constant temperatures and humidity levels (unlike fan & pad systems). Anti-drip nozzles and careful design ensure that there are no drips or excess drain water that can damage crops. Nozzle lines in stainless steel or flexible lines make sure that installation is fast and easy. When used for cooling, the flash evaporation of the droplet can drop the surrounding air temperatures by up to 35°F / 18°C. As the adiabatic process completes so the temperature drops and the humidity rises. The grower must also be aware that air exchange must occur to maintain the temperature drops in the greenhouse. MicroCool engineers work closely with the grower so that the correct ventilator positions and directions are used to get the best results. MicroCool controllers, for greenhouse cooling operate to achieve maximum cooling without exceeding the high level humidity setting. Plants at high humidity levels may stop transpiring (become dormant) as the osmotic pressure equalizes. 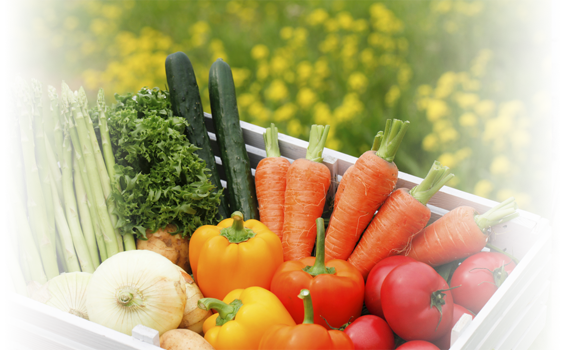 Growers much prefer to keep below set humidity levels and experience a few degrees extra cooling. High pressure fog cooling systems are comprised of a high pressure pump module that pressurizes the water to 800 – 1200 PSI (55-76 bars) and is distributed to the conditioned area by means of stainless steel or flexible high pressure main lines then through smaller stainless steel or flexible high pressure distribution lines where high pressure fog nozzles are situated for even coverage of the space. 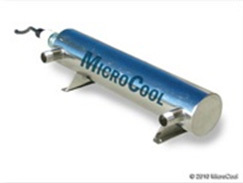 Microcool has three models of high pressure pump modules. These are the BIGHORN ( for smaller applications ), the IBEX ( which encompasses a wide range of applications and nozzle capacities ) and thje RHINO for high flow applications and can be coupled together to reach flow ranges of 60 USGPM ( 13 cubic meters/hr). Microcool offers three different types of mounting line and a comprehensive range of nozzles to suit many applications. Flexible nozzle line, stainless steel line and the new ROC system can be used individually or in combination or distribution. Microcool Nozzles come in three different orifices. The standard nozzle (0.008”/0.20mm), the dust suppression nozzle (0.020”/0.50mm) and the special purpose nozzle (0.006”/0.12mm). Each nozzle contains a special stainless steel insert with engineered concours that rotates to make the fog “spin” as it exists the nozzle. The unique feature of the MicroCool nozzle is the raised insert that sheds water when closed to avoid salt build up over the orifice. Each nozzle is provided with a spring load anti-drip spring and ball that closes the nozzle after operation to eliminate any dripping. The nozzle body also includes a 20mu changeable filter assembly. For further detailed information please use the links below. These are in pdf format. For sizing, selection, project pricing and general assistance please contact our office. Our design team is most willing to provide assistance. System installation services are as well available on request.